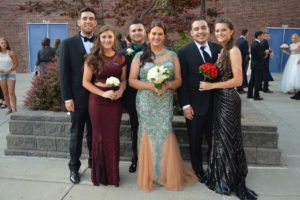 Columbia’s Junior Prom for the Class of 2019 will be held on Saturday, May 19 at the high school. Tickets cost $65/person and will be on sale May 7-11. Permission slips for non-Columbia students can be obtained from Mr. Kilmartin’s office and are due prior to purchasing a ticket. No student may reserve a table unless payment has been made. Family and friends are invited to attend the Grand Walk-In viewing where they can take photos from 5:00 to 7:00 p.m. Dress is formal. Please note, only prom attendees are allowed inside the prom festivities areas and student IDs must be shown for entry.